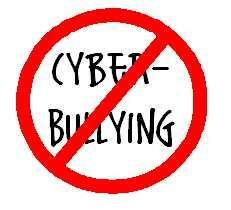 Sadly, we have had a few cases of cyber-bullying at our school in the last couple of months. In the past several years, as part of my curriculum on internet ethics I would mention cyber-bullying in the context of being a good digital citizen and included it in discussions that ranged from copyright and plagiarism to how to make good comments on blog posts. At first, I reserved these lessons for my sixth grade classes, thinking that I might have a better chance of reaching them before they were heavily involved in the world of blogs, social networking and texting. Gradually, I found that I taught these lessons in the fall instead of the spring and then two years ago, I moved the lessons to fifth grade, again thinking I might reach them before they were involved in this ever-changing online world. This year, I have moved down once again, and this week gave a lesson on cyber-bullying and its consequences to fourth graders. I found a great resource on BrainPop, an online subscription we are fortunate to have. We watched a short video on cyber-bullying that was appropriate to their age and then did a follow up activity in which they were given simulated emails, texts, and social networking examples and they were asked to choose what their response would be. I honestly feel sorry for these children. At the risk of sounding very old, I remember my biggest concerns in fourth grade were how fast I could run the 50 yard dash or if I would make it to the school wide Spelling Bee, not what information I should or shouldn’t reveal, what to do if someone sends me threatening emails, and whether or not to lie about my age so I can have an email address or have a Facebook page. Research shows that the brain doesn’t really fully develop in its ability to discern consequences until the age of 27! We are asking our children to make very difficult ethical decisions at a time when they are developmentally not ready. I’m not sure what the answer is, but I hope that my lessons can be one voice they hear. But schools can’t do this alone….parents have a huge responsibility these days to be ahead of rapidly changing technology that can have both positive effects and very dangerous negative effects on their children. We’re all in this together…. Kindergarten–They might not have known the word, but Kindergarteners do know how to fidget. This week they learned what the word meant when we read Don’t Fidget A Feather by Erica Silverman. This delightful book really captures their attention when a duck and a goose have a “freeze in place” contest and almost become dinner for a fox! It’s a great story and a suspenseful tale that shows that friendship is the best prize of all. First Grade–Suspense was on the menu for first graders as well this week when they heard High Wire Henry by Mary Calhoun. It’s the story of an independent Siamese cat who’s not too happy about the family’s addition of a puppy. Trying to get their attention, he learns to walk on his hind legs, a skill that doesn’t get the attention he wants at first but finally does as he rescues that pesky new puppy. Next week, we’ll continue our Henry tales with Henry the Sailor Cat. Second Grade–It’s green. It’s fuzzy. What is is? Who wants it? Janet Stevens’ hilarious book The Great Fuzz Frenzy delights second graders as they hear about a green tennis ball and a group of prairie dogs and the ensuing frenzy over who gets the fuzz. The illustrations in this book and the format are fabulous for reading aloud. This is a real crowd pleaser and a great way to introduce alliteration! Third Grade--Saving Sweetness by Diane Stanley is one of my favorite books to read aloud. Told from the point of view of a sheriff in an old west town, it’s the story of a little orphan who escapes her orphanage. The sheriff goes out to find her, getting himself in one predicament after another. It is Sweetness who actually rescues him! As well as being delightfully funny, this book is a great way to teach irony. Next week we’ll read the sequel, Raising Sweetness. Fifth Grade–Fifth graders went on a Book Hunt in the library this week. This is a fun activity that has them looking all over the Library for different kinds of books. They work in a team of 3 and one of the hardest parts is they cannot talk. At all! All their communication with one another has to be in the form of sign language or written notes. At the end, they must sit in alphabetical order by their last names. It’s a fun and active way to teach students how to find many different books in a library. Sixth Grade–We combined math with research this week as sixth graders used atlases to find out several facts about different states, including things like total population, or land area. When they followed the directions using the numbers they found, doing quite a bit of adding a subtracting of some very large numbers, the answer turned out to be their age on their birthday this year. I did one, too, and they were amazed that mine came out with my birthday! To make it just a little more difficult…..I didn’t let them use calculators!